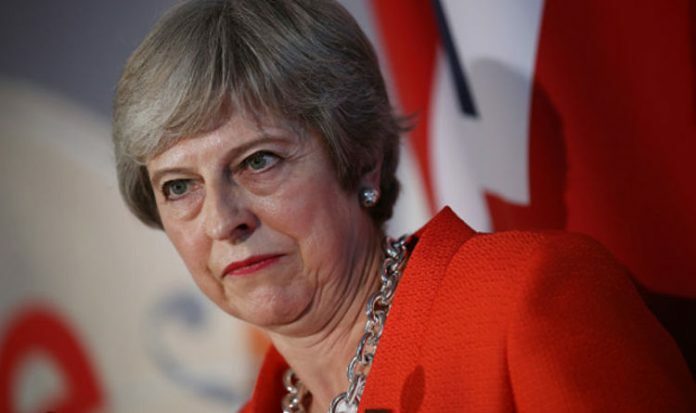 The prime minister furiously dismissed the question from her interviewer, who just so happened to be fellow Tory and Conservative Party deputy chairman James Cleverly. The question had come in the wake of Mrs May’s decision to hold a snap general election last year after a holiday with her husband in Snowdonia, north west Wales. This resulted in the loss of a cluster of conservative Party seats and a subsequent deal with the DUP to prop up the party.